Please note; hard copy sales of Driving Sounds Magazine are only available to UK-based readers. Music consistently rates in the top five most important features of a new car purchase for the UK music lover however, car manufacturers have consistently struggled to separate form from function. Typically, a factory installed unit will do 1000 things you will never need and make a horrible hash of the one thing it is designed to do; reproduce music as the artist intended it to be heard. This is not necessarily the fault of the bit of dashboard with the buttons on it but more typically the use of poorly installed, exceedingly cheap speakers. It is therefore always desirable that car owners take their car to an aftermarket specialist in order to have a musical experience that is both relaxing and exciting whilst the driver negotiates our busy road network. Driving Sounds is a magazine dedicated to music on the move. This brand new issue celebrates the experiences of new adopters of upgraded sound in their cars and brings you the story of their journey as well as system reviews, suggestions of music to listen to and of course product and installer profiles. This year for the first time, we have added video content to accompany a couple of the articles to help bring the written words to life. The magazine is written with the music lover in mind rather than the amateur scientist. We try to keep our content as jargon and science-free as possible in order to deliver an engaging read that will help readers make the right decisions when considering an audio upgrade to their car. Please note, hard copy sales of Driving Sounds Magazine are only available to UK-based readers. Love Music but spending most of your time in a car? Well, cars can and are made music lover friendly on a very regular basis. This issue, released in 2015, is filled with informative articles about sound and in particular HD Audio as well as our usual reviews of some great cars and the nation's finest installers. Check out the contents listing of this issue. Downloads of the entire issue or individual articles are archived here for purchase. Click here to download the whole of Issue V or individual articles for free! Not sure where to find the best information available on car audio products and systems? Driving Sounds issue 4, released in 2014, is the definitive buyers guide to car audio offering product reviews, car features, comment from satisfied customers and easy-to-understand technical features. Driving Sounds also carries views and news from some of the nation's finest installers as well as giving an insight as to what might happen to your car should you take the plunge and decide to get great sound installed! Check out the contents list and purchase electronic downloads of the entire issue or individual articles. Click here to download the whole of Issue IV or individual articles for free! Issue 3 of Driving Sounds Magazine features some of our favourite cars to date. We listen to a fantastic sounding VW Touareg one of the first UK cars to be "bit-tuned" and we loved the results! 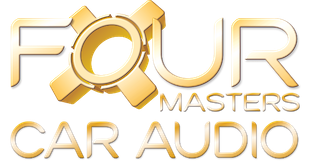 We also checked out an install in an Audi TT by installer Karl Ward of FOUR MASTER Ultimate Audio and heard all sorts of things in some very old recordings that we had not heard before. Check out the contents list and purchase electronic downloads of individual articles. Download individual articles for free! Does My Bottom End Look Big in This? This issue of Driving Sounds is now out of stock so you can no longer purchase a physical copy. Check out the contents list and purchase electronic downloads of individual articles. Something of a collectors issue now but still full of relevant content. Check out the contents list and purchase electronic downloads of the individual articles.